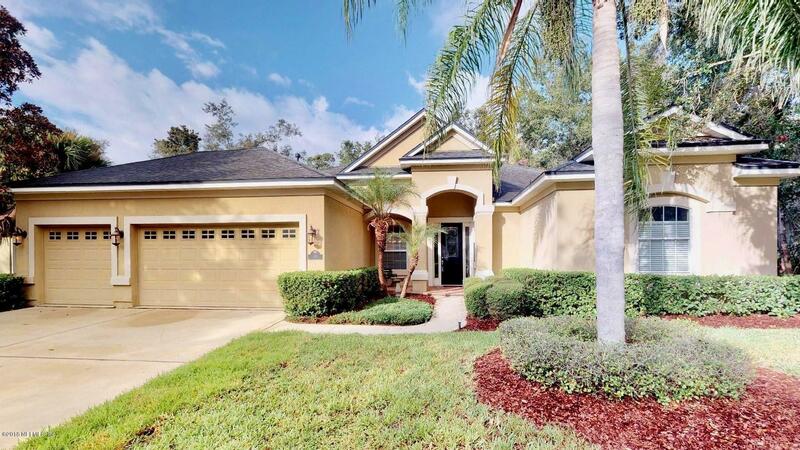 Check out the Virtual Tour!This Morrison home is on a most desirable street in Palencia and has a fabulous kitchen with family room fireplace combo....4 bedroom 3 bath ...SS appliances, wood floors and tile in wet areas. Bedrooms were replaced with wood floors in 2011. AC replaced in 2015..new light fixtures 2015, pavers and screen 2007..new backsplash, dishwasher and fridge 2015. The private and tranquil large pavered screen lanai leads out to a fenced back yard that could take a pool. Great neighborhood and across from a park like gazebo. Litestream has been contracted for basic cable TV and internet service for a monthly fee of $71.30 until Dec. 31, 2018. This fabulous location is an easy bike ride to the Palencia Elementary School. NEW ROOF being installed 10/2018.